What do teenagers know about hydrofracking? The Think Before You Frack Team’s Ashley and Nilufa conducted a survey at the NYC iSchool to see what teenagers know about hydrofracking. Their results show that teenagers do have at least a basic knowledge of the topic. Click here to take a look at their survey and results! THINK BEFORE YOU FRACK TUMBLR BLOG!!! This blog was written by two students in our class, Kassandra and Sara. articles and other media. We really would appreciate it if you took a look. THE THINK BEFORE YOU FRACK TEAM’S ASHLEE M. CREATED AN AWESOME AND INFORMATIVE VIDEO ABOUT HYDROFRACKING! TAKE A LOOK BELOW, OR ON THE FRACK IS WACK VIDEO PAGE! THE NEW YORK TIMES AGREES WITH US!! YESTERDAY’S NEW YORK TIMES EDITORIAL CONTAINED ARGUMENTS VERY SIMILAR TO OURS! LOOK ON THE CURRENT NEWS PAGE FOR THIS ENTRY: **Natural Gas and Clean Water** AND TAKE A LOOK!! A student from our school wrote an article on hydrofracking!!! Please check it out on the “Current News” page! Think Before You Frack got a Facebook page! Please check it out and “like” it today! Join the campaign and fight against hydrofracking! If hydrofracking is allowed near you, your health and environment are at risk!! Click here to view the Think Before You Frack Facebook Page!! 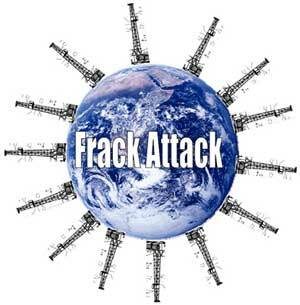 This is one of the two logos created by the Think Before You Frack Team while working on the campaign! The other one is the iPod, which can be found in the sidebar.